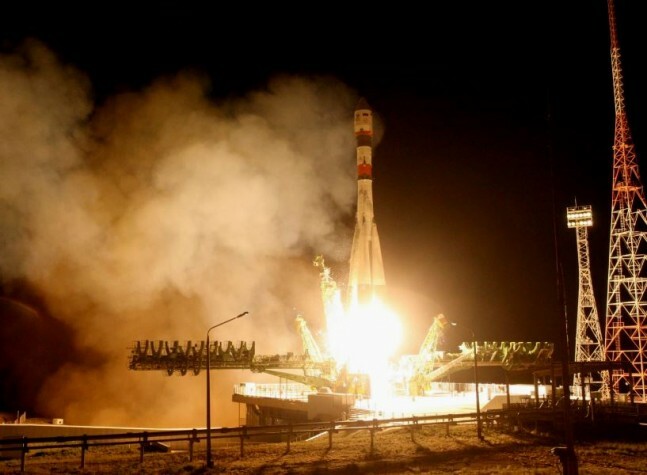 As noted on the Russian Space News website Russian Space Web, at 6:01 a.m. EST (14:01 MSK, 1101 GMT) Friday, a Soyuz-2-1a rocket lifted off from the Plesetsk Cosmodrome in the town of Mirny, north of Moscow, Russia, carrying the first Bars-M spy satellite for the Russian military. As is typical for classified Russian military missions, the launch was not broadcast. Limited information has been made available, but the payload has not been kept a complete secret. Bars-M is a cartography satellite, designed to map the Earth from above to keep Russian military maps as up-to-date as possible. This particular series of mapping satellites will use digital imaging and, evidently, downlink the footage instead of using the old film-return technique to bring the maps back. Older cartography satellites relied on the ability to parachute spent film back to Earth for review and use. Bars-M began its life in the 1990s as simply “Bars” and was created to be a replacement for the Kometa (Yantar-1KFT) satellites. The Kometa spacecraft were film-return satellites that the USSR developed in the 1970s and used, through the transition from USSR to Russia, from the 1980s to 2005. Each Kometa carried a TK-350 topographic camera TK-350 and a KVR-1000 high resolution camera in order to create large topographic maps. They used a Yantar bus module, which has been around since the 1960s and which was used recently on the Lotos-S satellite, and a Zenit-based film return capsule that could be re-used a few times. Thus the Bars project was born. It would be built on the Yantar bus as well, and would employ “topographic electro-optical imaging system consisting of a wide-angle and high-resolution camera and a set of laser altimeters,” according to Spaceflight101. However, in the early 2000s, the project halted due to issues with both funds and technical details. The delay “led to a decade-long gap in operational space-based cartography capabilities,” according to the same report. The contract for the Bars-M satellites, the upgrade and reboot of the unfinished Bars, was signed in 2007 and included an expected first launch by 2012. TsSKB Progress, or Progress State Research and Production Space Centre, was contracted to develop a satellite bus different from the familiar Yantar. TsSKB-Progress operates under the jurisdiction of Roscosmos and is based in Samara, Russia. Leningrad Optical Mechanical Association (LOMO) developed and built the imaging system payload. Yet technical difficulties prevented it from being completed when desired, pushing that first launch to today, about three years late. So far, the Russian military has ordered at least six satellites in this line. Each has a life expectancy of five years. Regarding the launch vehicle, the 1a configuration of the Soyuz-2 rocket is essentially a modification of the Soyuz-U configuration, with a digital control panel. It is less powerful than its sister rocket, the Soyuz-2-1b, which has a third stage with a new RD-0124 engine, instead of the earlier RD-0110 found on the 1a. As is typical of Soyuz rockets, it does not have the usual first stage that is jettisoned in its entirety once it has completed its task. 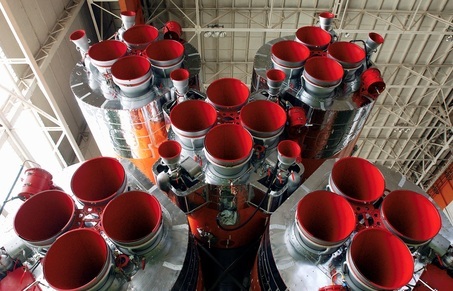 Instead, the Soyuz has what is called a “core” stage with four liquid booster rockets strapped to it. These boosters, each of which is powered by a four-chamber RD-107A engine, are typically considered the “first” stage. Yet, the core stage ignites with them about 17 seconds before liftoff, and it continues to burn once the boosters have been jettisoned. Despite this, the core stage is generally considered the “second” stage. The core stage uses an RD-108A engine, which has similarities to those RD-107A engines in the boosters. Both of these engines are manufactured by NPO Energomash, the same manufacturer of the often-discussed RD-180 engine known for its use on the first stage of each Atlas V rocket. The third stage on the Soyuz-2-1a is just the same as that of the Soyuz-U Launcher, with its RD-0110 engine developed by Chemical Automatics Design Bureau (also called KB Khimavtomatika or KBKhA). The Soyuz rocket family is perhaps most famous for being the launch vehicle for the Soyuz spacecraft. Both the rocket and capsule are currently the only means used for ferrying astronauts to and from the International Space Station (ISS). NASA has been endeavoring to change that situation with the Commercial Crew Transportation Capability (CCtCap) contracts. The next Soyuz launch is the mission to carry the Expedition 43 crew to the ISS, currently slated for March 27 from the Baikonur Cosmodrome. The next launch of a Bars-M satellite is currently “expected to occur at some point next year, with a third satellite expected to fly around 2018,” according to NASASpaceFlight. Ms. Botsford, Could you explain please, why images are regularly lifted from RussianSpaceWeb.com web site without our permission, while HTML links in the same stories are given to other web sites? Thank you!